On March 20, the largest pharmacy chain CVS announced that it would be selling Cannabidiol (CBD) in certain states. Currently, there are 8 states where CVS customers will be able to purchase those products. The total number of stores where CBD-containing products can be purchased will be around 800. Those states include California, Illinois, Indiana, Kentucky, Colorado, Tennessee, Alabama, and Maryland. Other states are currently unavailable for these type of products because of uncertain regulations issue. 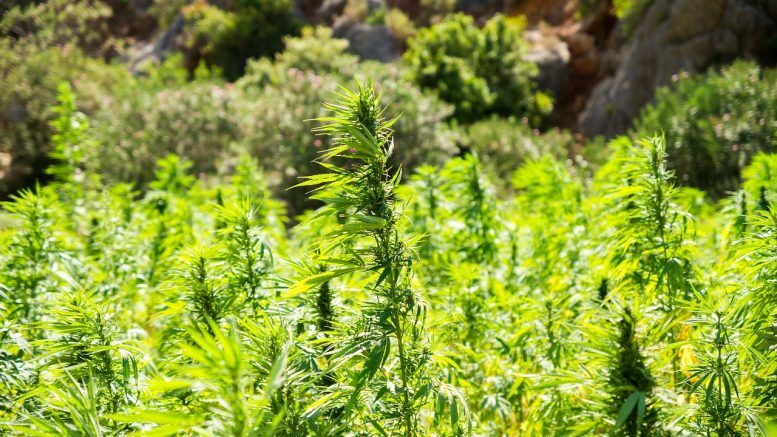 Hemp-delivered CBD was legalized by the president Donald Trump in the farm bill signed in December last year. However, CBD-containing products are still not legal under the Food and Drug Administration’s (FDA) regulations. The FDA regulations don’t allow to add cannabidiol to food and beverage products because of its active substance. Currently, this compound is used in a drug product called Epidiolex, brand anti-seizures medication. This uncertainty is the way which was used by manufacturers and retailers to start delivering CBD-containing products. The products that contain CBD and are about to be sold by CVS include lotions, salves, sprays, roll-ons, creams, and topicals, but not food or beverage, according to the CVS Pharmacy spokesman. He also added that CVS contacted the CBD product manufacturers that are complying with applicable laws and that meet high standards of quality of CVS Pharmacy. Cannabidiol is delivered from hemp plants. These plants are the members of the cannabis family, like widely known marijuana. That is one of the reasons why CBD products caused a lot of discussion in the society. However, unlike marijuana, hemp contains far less tetrahydrocannabinol (THC), which is a psychoactive substance and a component of cannabis plants. Unlike marijuana, hemp is rich in cannabidiol, which is not a psychoactive substance, unlike THC. Topicals and other products that contain CBD are designed to effectively relieve pain. Some other purposes of using these products is a treatment of anxiety or depression, acne reduces, and some other medical ailments treatment. On the other hand, most medical effects are not studied yet. According to Dr. Margaret Haney, a professor of neurobiology at Columbia University Medical Center and director of Columbia’s Marijuana Research Laboratory, societies had jumped far ahead of science. She stated, that CBD products were showing up in lotions and pretty much any form of a product people can use. She added that there were a lot of ways one can use CBD, but the ways the researchers had studied CBD were more limited. Despite the fact CVS Pharmacy made it as clear as possible that they will follow the FDA regulations (under which it’s illegal to add CBD to food and beverage or sell the products as dietary supplements) and going to sell CBD-containing products only in 800 stores out of 9,800 stores nationwide for now, the FDA response was not that positive. The FDA Commissioner Scott Gottlieb said in a statement that selling unapproved products with unsubstantiated therapeutic claims was not only a violation of the law but also could put a patient at the risk, as those products had not been proven to be effective or safe. Be the first to comment on "CVS Pharmacy Begins Offering Cannabidiol (CBD) Products"